How things can change in just a few hours! In my last post I mentioned that I had been feeling unwell but that I was hoping some cold and flu tablets would stop it from getting worse but alas, it got worse. I woke up in the middle of the night last night to find that one whole side of my face had swelled up dramatically, so much so that my eye was nearly swollen shut. After some frantic Googling of symptoms and local emergency doctors I decided I wasn’t dying and to wait until a more godly hour to go to the local medical centre. I went to see the doctor thinking I must have had a sinus infection but it turns out that I have actually caught shingles. On my face. Yep. Gross. The shingles themselves aren’t actually that bad but to make things grosser, the virus has gotten into my eye, hence the swelling and agonising pain behind my eyeball. What fun! I got a script for antibiotics and some eye drops and luckily was able to extend my checkout time by an hour so that I could rest for a while. Unfortunately this meant that I had to cancel my meeting today at the New Museum which is a real shame but I don’t think it would have been good for anyone if I had shown up to the meeting representing the National Library while looking like I moonlight as a cage fighter. Hopefully I might still be able to ask some questions of them via email at a later date. So I’m now sitting at JFK waiting for my flight to DC, wearing very big sunglasses to hide as best I can the golfball over my eye. I do already feel better than what I did even earlier this morning, whether that is from actual improvement or just an illusion the drugs have created I don’t know but I’ll take it. I’m really disappointed that this has happened so close to the end of my trip and also just before the two busiest days of my whole itinerary in DC. I’m determined not to let it stop me from doing everything I had planned though, even if that means going out in public looking like a sea monster. 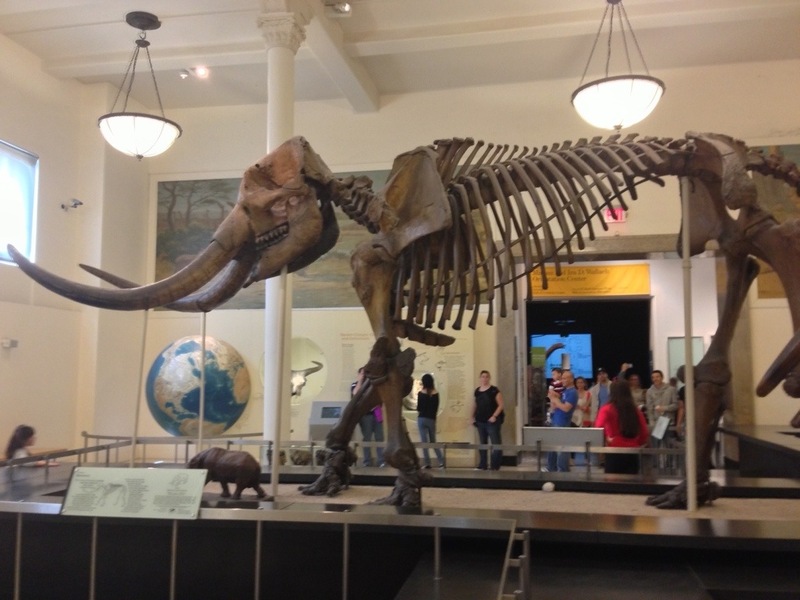 Anyway before all that catastrophe I did manage to get a visit in to the Museum of Natural History yesterday, where I met with Catherine Devine, Director of Communications. What a magnificent building the museum is. I was in complete awe of its sheer size and complexity. Five or six floors, tens of thousands or items on display. 32 mill ion items in the total collection. Had I have been feeling better I probably would have been more committed to see the whole thing but being sick, coupled with hundreds of primary school students running around the museum very quickly made my interest in natural history wane. I decided to look at only a few select exhibitions I knew I would enjoy. 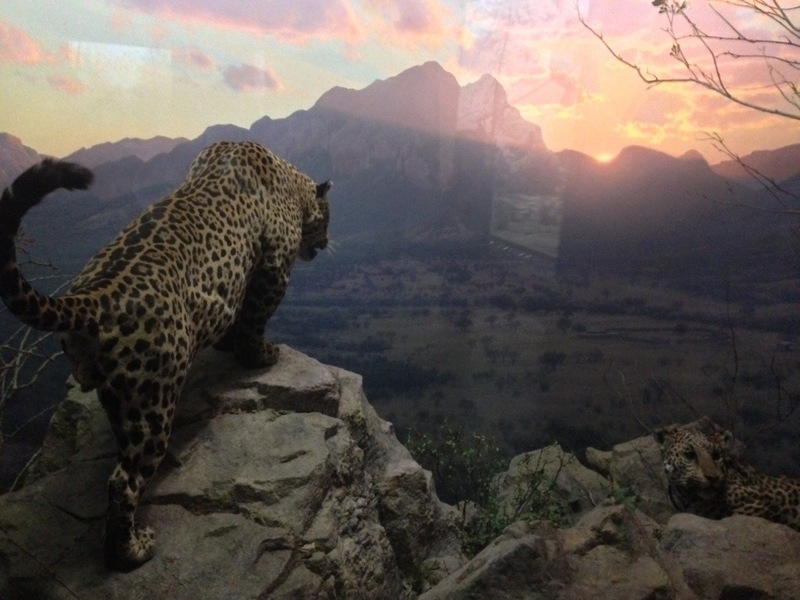 Of course you can’t go to the AMNH without seeing the life sized dioramas that they are famous for. They don’t disappoint either. There are so many of them! And surprisingly lifelike even seeing them up close. I really loved the Whales exhibition, which had traveled all the way from New Zealand. I’ve just always been fascinated by marine life, whales and dolphins especially. They had a real sperm whale skeleton, I really can’t describe to you the scale of this thing. Absolutely gigantic. Photography wasn’t allowed in this particular exhibition so I can’t show you but I’m sure you can take my word for it. It was big! 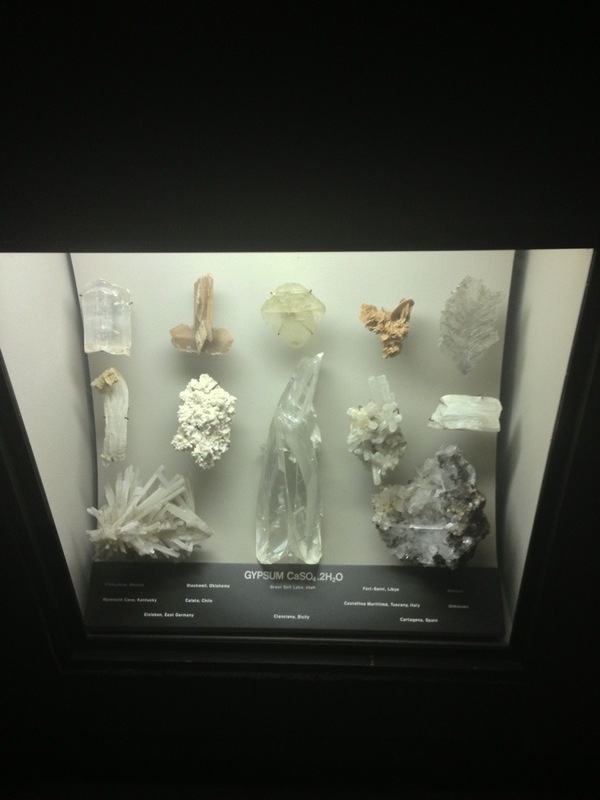 I also really enjoyed the minerals exhibition. I love minerals and uncut stones (just look at my jewellery collection!). 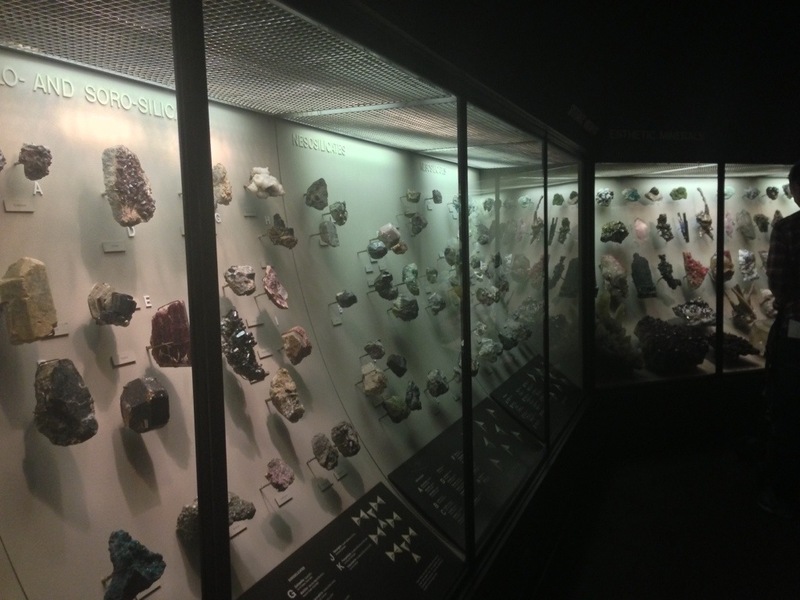 This must be one of, if not the largest collection of different semi precious stones and mineral samples in the world. There were thousands upon thousands, of so many sizes and types and colours and origin. One day my own collection will be as big! Meeting with Catherine was really interesting. For a start, not only is she Australian (living in NYC for 15 years) and from a part of Sydney that I know quite well but more amazingly, she used to be the #1 text corrector on Trove for our digitised newspapers! What a small, small world. She had even been sent a gift and letter of thanks from a previous Trove manager. 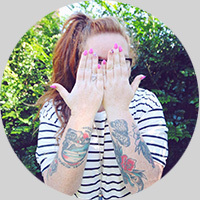 Catherine has a technical, IT background which makes her very excited about developing apps and a content management system that allows content to be reusable. I’ll talk more about that in a minute. Interestingly the museum operates very much like the Library, only one a larger scale, with a workforce of about 1200 staff. 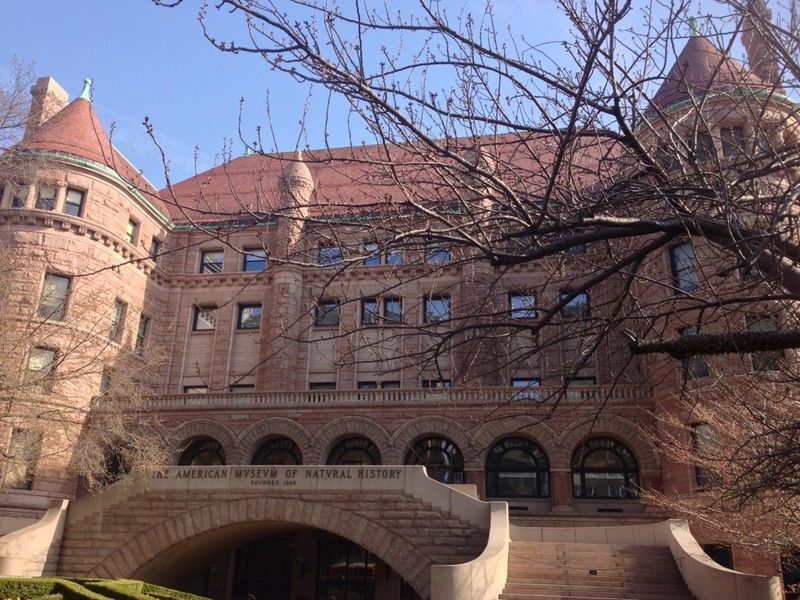 The Museum faces similar challenges in the type of content that its authors produce in that much of it is very technical or written for very specific audiences and is inaccessible for the general public. 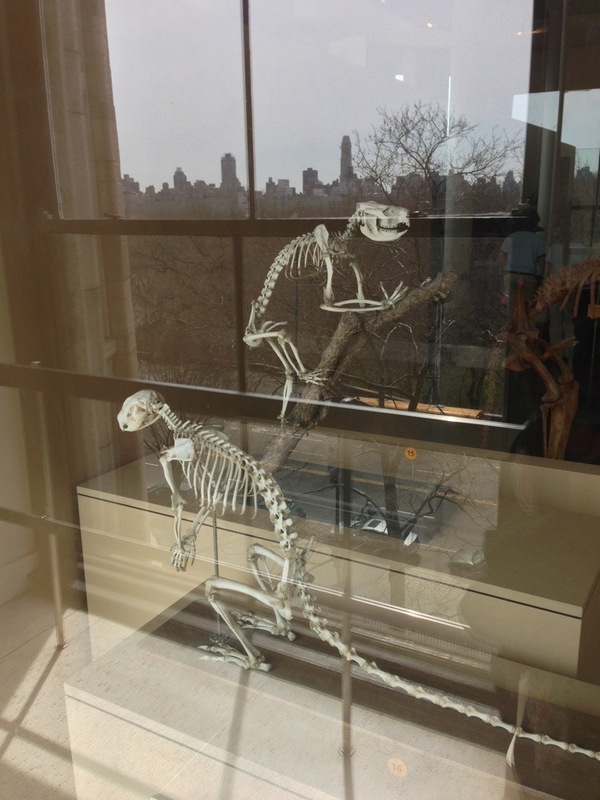 the AMNH is quite similar to us in its social media usage; one corporate account that is managed by the Communications team, with them sourcing content from other areas of the Museum. They run successful “Tweet Up” events related to current exhibitions, which entails inviting a select number of the public through Twitter to an exclusive event that gives a behind the scenes look or the opportunity to ask questions of the exhibition curator, for example. They ask guests to live tweet from the event and this has proven as a successful activity for not only greater social media engagement generally but also further reach to a wider, and specifically younger audience. Catherine is a firm believer in the content philosophy of Create Once, Publish Everywhere and is currently embarking on the implementation of new digital strategy at the Museum which will see the use of a new content management system that allows the same pieces of content to be used in multiple places and on multiple platforms. And more importantly this means that content only needs to be updated in one place rather than multiple places.This approach won’t just apply to the website or mobile apps, but also to displays such as digital signage and interactive touch screen computers that accompany some exhibits. This in particular really interests me because it is a strategy that is talked about often in textbooks and presentations (such as many at the Seattle conference) but that is still rare to see in practice yet. I’ll be very interested to see how that project turns out. In trying to educate staff Catherine is very particular about the language that is used. Rather than “website” or “mobile app”, Catherine refers to these things as digital platforms and the “web” team is actually the digital team. This takes the focus off the output of content and instead makes the input more imperative to creating quality, lasting and accessible content. I thought this was an interesting approach to encourage a change of thinking in staff, that something as simple as language around basic tools can impact conceptual thinking across the whole organisation. Okay my flight is about to leave so here are some photos. Hopefully when we meet again I will have two functioning eyeballs once more.